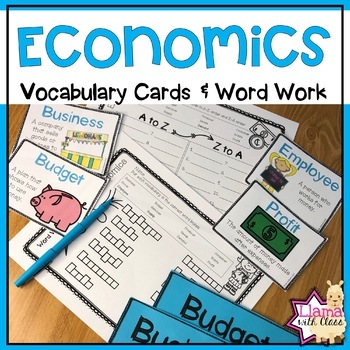 Looking for extra practice with economics vocabulary? 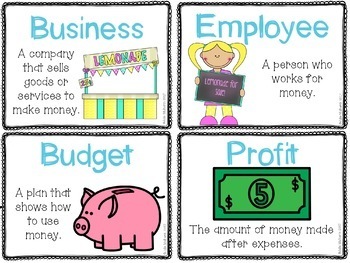 Each vocabulary activity pack includes 12 content based vocabulary cards, perfect for word walls. 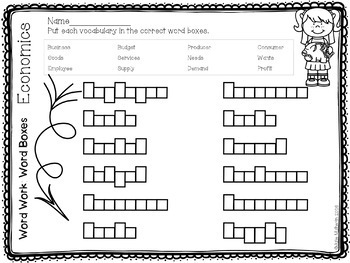 In addition, there are 8 different vocabulary activities that are great for word work! 3. 8 different vocabulary activities. Business, Budget, Producer, Consumer, Goods, Services, Needs, Wants, Employee, Supply, Demand, and Profit. An answer key is included. Looking for more Economics activities? 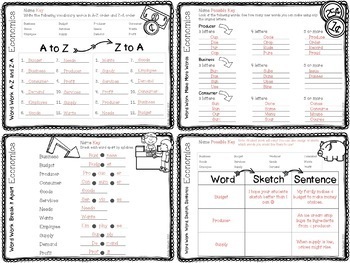 Looking for more vocabulary and word work packets?